May 9th, 2010 11:34 PM | by William Bell | Antichrist, Dispensationalism. Is Obama the Antichrist? This question is part of a phenomenon which started during the presidential campaign of President Barack Obama. However, it continues to be asked several times everyday by people around the country. Some undoubtedly believe that the president is the Antichrist. Others do not. Can we know for sure? Of all the subjects in the Bible, the Antichrist is not that difficult to figure out. In fact, it only takes a couple of minutes to solve the mystery. However, you won’t find the answer in Left Behind Novels. Those are filled with prophecies about a future individual who allegedly will come. Others seem to tap into the fears of people for profit. Claiming that President Obama is the Antichrist sells and apparently it is selling big. These simply attest to the undeniable popularity of this President, like him or hate him or whether you’re somewhere in between. His charismatic influence on the world is unmistakable and undeniable. Some love to love him, and others love to hate him. Whatever the stance, he is not to be ignored. And, being a supreme political figure seemingly lends validity to his aura as a prophetic subject, especially for those who subscribe to futurist eschatology. In fact, it is the context of speculative futurist views and beliefs which give rise to such fanaticism concerning the end times. Every popular political figure has at one time been styled the Antichrist, from Mussolini to our past president. Those views all shared one common thread of consistency. They all were wrong! Such is the fallacy of futurism. There will never be a person in our time, political or otherwise, who will match the description of the Antichrist in scripture. In the following, we demonstrate why all the videos, blogs, and websites which affirm such are incorrect. Now most futurists will write this off as ludicrous. Others will not take the time to read the evidence from the source. To speak of the presence of the Antichrist would of necessity imply that the last hour has arrived. Yet many of those who use this type of propaganda, especially as occurred during the campaign could care less about the end time. They played on the ignorance of religious people in an attempt to sway their votes. Dispensational lobbies attest to the effectiveness of such tactics. 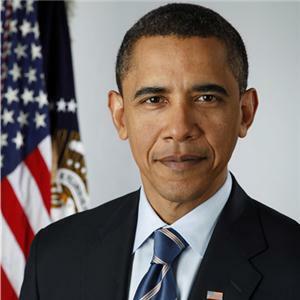 Now, let’s examine the key text of the Antichrist in the Scripture and see whether Barack Obama is the Antichrist. John was an apostles of Jesus Christ. He was inspired by the Holy Spirit (i.e. God who cannot lie), a point which should have some merit for professed Bible believers, even if you are a futurist. John also lived in the first century, in the time of Christ. One promise Christ made to Him was that He would remain alive until the His second coming. “Peter, seeing him, [John] said to Jesus, “But Lord, what about this man?’ Jesus said to him, ‘If I will that he remain till I come, what is that to you? You follow Me.’ Then this saying went out among the brethren that this disciple would not die. Yet Jesus did not say to him that he would not die, but, ‘If I will that he remain till I come, what is that to you? (John 21:21-23). In other words, Christ told Peter to get out of John’s business and mind his own. Now for Jesus’ second appearance to be future, John would yet be alive, for he was to remain alive till Christ returned. Some took that statement to mean that John would never die, but that is not what Jesus said. He said John would remain alive till He returned. For Christ’s coming to yet be future, John would be about 2000 years old and yet walking the earth. Rather, the Lord promised to come before his death which occurred in the first century. Is Obama The Antichrist Came in the Lifetime of John in the First Century? John wrote before He died, that “it is the last hour” and that the Antichrist had already come. The presence of the Antichrist demonstrated that the last hour had arrived. Now what would be more of a stretch than to believe that John is alive today is to believe that President Barack Obama lived during the time of John in the first century. That is the only way the youtube video that answer is Obama the antichrist in the affrmative could be true. Is Obama the Antichrist? Some say the following are signs are evidence of their claim. Here are the reasons why neither Obama nor anyone living today or in the future can be the Antichrist mentioned in the Bible. The Antichrist(s) lived in the days of John the Apostle. They were present in the first century church. They congregated with people in the church but realized they didn’t share the same conviction toward Christ so they left. Their presence and apostasy marked the last hour. This is incontrovertible evidence which refutes the notion that Obama is the Antichrist. Did The World Pass Away In the First Century? To answer this question, we must understand the what world John saw passing away in verse 17. He wrote, “And the world is passing away…” John saw a world passing away in his time The last hour of which he spoke pertained to that world. That world was not our present world. It was the Jewish world or Jewish age. That Antichrist’s appearance does not belong to the current age, but to the Jewish age which passed in A.D. 70. That fact is all current and future speculations about the Antichrist are without merit and are mere fantasies of futurist fanaticism. If people would only take the time to read those two verses (1 John 2:18-19), it would save them lots of trouble and grief over the Antichrist. The antichrists were those who rejection the incarnation of Christ. “By this you know the Spirit of God: Every spirit that confesses that Jesus Christ has come in the flesh is of God, and every spirit that does not confess that Jesus Christ has come in the flesh is not of God. And this is the spirit of the Antichrist, which you have heard was coming, and is now already in the world. You are of God, little children, and have overcome them, because He who is in you is greater than he who is in the world. (1 John 4:2-4). Again, we see that the Antichrists had already come, and were already in the world when John wrote. They were those who did not believe Jesus had come in the flesh. They denied the incarnation of Christ. The Antichrist is not one person, but many. Antichrist is a composite group of people who deny Jesus’ incarnation. That is why Antichrist is spoken of both in the singular and the plural. The Antichrist’s stand over against Christians who are the “body of Christ.” The body of Christ is a composite group of believers, spoken of as “one body” but consisting of “many members.” They believe and accept that Jesus Christ came in the flesh, (John 1:1-2, 14). So the false prophets that predicted that Obama is the Antichrist are out of sync with a from the perspective of the argument that is anachronistic. It is an error in time which overlooks the first century fulfillment. « If Spiritual Gifts Are Not For Today, Then How Do You Explain Acts 2:17-18?